As all of us are aware, we live in an age of extreme expenditure. It is for this reason that those individuals who are unemployed find it rather tough to survive, when they do not make any money. In today’s times money speaks louder than words and those without money are unable to live a happy life. 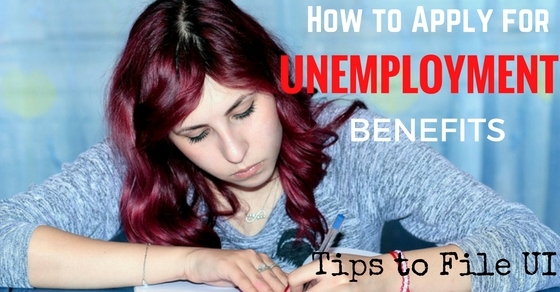 Unemployment is a major issue all over world and those who are unable to get jobs are provided with unemployment insurance benefits in order to help them along the way. Being unemployed simply does not include those people who do not have a job. Right from the onset, before you apply for the unemployment benefits you should keep in mind, that the definition of being unemployed is rather distinct. It includes those individuals who want to work, but are unable to get jobs. These people are ones who belong to the work force of a state or country. Many people especially those who have not read up on the matter, are unsure of what the term really means and make use of it in the wrong context. So ensure that you are not one of these people. 2. Are you one of the people who fall into the category of the unemployed? In order to make a calculation of the number of unemployed people in a location, all you need to do is apply a simple formula. The number of working people, need to be subtracted from the total work force of that location. The work force is made up of those able people who are well qualified. It eliminates children as well as those individuals who have reached the age of retirement. In addition to that the work force does not include those individuals who are physically or mentally challenged in any way. Most governments make separate provisions to look into the needs of those who are disabled and even too old to work. One of the best things you can do is seek help from someone who is already receiving the unemployment benefits. He or she will be able to tell you exactly how you have to go about doing things. Since these people have been in your shoes, they will surely want to help you in your time of need. So schedule an appointment with them and ask them for any inputs which they are willing to give you. Tell them that anything they say will be of immense help to you when you are applying for your unemployment benefits. If you find that not many people are willing to answer the questions which you have you can easily search for information online. There is a wealth of information available simply one click of a button away, so spend some time surfing the internet and you will find answers to your queries. Unemployment benefits are also referred to as unemployment insurance or unemployment compensation so you can put these words into your search engine and you can be sure that there is going to be a lot of search results. Do not be daunted by the information which is provided, read up as much as you can. It is very important that you understand that different states require people to go about applying for unemployment benefits in different ways. So when you are reading things online or from books ensure that you are reading information which is relevant to your location. In addition to this, rules and regulations may change from time to time so ensure that you are up to date with all the rules and regulations just so that the entire exercise is not a waste of your previous time. The more you read up, the less trouble you will face. There are plenty of people who call in on the help line which is provided in order to find out exactly how to go about applying for the unemployment benefits. In addition to this, in some places you can even have the form filled up over the phone for you; however this may not be a very reliable method, because there may be an error in communication. Making a phone call is very easy since nowadays almost everyone owns a mobile phone so do not feel shy of making the most of resources which are available before you . These people are there to help you, so as long as you are not asking silly questions, they will try their best to help you . Rather than making any mistakes when applying for the unemployment benefits, you should ask as many questions as you need to. At the office there will certainly be a help desk so if you do not feel like phoning in to the office, you can always walk into the office and ask them anything which you want to. In addition to this, you can even ask if there is any brochure which you can make use of. Most often people working in the agency will be very helpful and will provide you the assistance which you require in order to get the job done as soon as possible. For most places, there are more than one means by which you can fill the application form. You must spend some time thinking about which means you would most prefer to use. Some people prefer to fill out the application online whereas on the other end of the spectrum there are those people who prefer to fill it up manually and then mail it to the office. If you are not comfortable with either of the two ways which have been mentioned above, you could always fax the application form to the office. Do not use a means which you are unsure of, ensure that the method you use is both reliable and dependable. In order to avoid any complications at a later point in time like your application form being rejected, you should ensure that you fill out the application in a proper manner. If you happen to make a mistake or say something which is incorrect, your application might immediately be rejected. So ensure that you know from advance how you plan on answering the questions on the application and do not fill it up in a hurry. Once you have filled it, recheck it so that everything may move in a smooth fashion for you. So fill in a dummy form before you actually fill in the real one. Many people think that since they are getting the benefits, they need not continue the job search. It is of paramount importance that you continue your job search even after you apply for unemployment benefits, first because the money you receive as unemployment benefits will not be a lot. It will hardly enable you to keep body and soul together. Secondly the terms and eligibility for applying for the unemployment benefits are rather strict. The moment the authorities find that you are no longer eligible, they will stop the benefits immediately. Relying on the unemployment benefits is a very silly thing to do indeed. Sending in the application is certainly not everything. You must ensure that you keep following up and even tracking to see how far things have gone. Most countries and locations have transparent procedures and you can pin point exactly how far things have advanced. Chances are that you may receive an email too, so ensure that you check your email on a regular basis so that if you are contacted you can respond rather promptly. If you fail to respond on time, it will surely affect the procedure entirely. Put in your own effort if you want the result to be in your favor. Prior to the ruling which is given, chances are that there may be an interview conducted over the phone. So, make sure that you give a phone number which is reliable. Never make the mistake of giving a phone number which does not belong to you. If the authorities or agency finds that you do not receive the phone calls, after they have made several attempts to contact you, then they are quite likely to dismiss your case. Keep in mind that there are thousands of unemployed people in a location and the authorities cannot waste so much time on just one application. When you are applying for unemployment benefits you must be prepared for the fact that things may not be very easy. Most often, people who are working in the agency may not be as competent as they ought to be. So be sure to be patient. If you expect things to materialize immediately, you are sure to be disappointed. This is a time consuming process, but it is worth while indeed. All you can do is follow all the rules necessary and hope that things work out in your favor. Being unemployed is usually a temporary phase which everyone goes through at some point of time or the other, so just take things as they come. It is another unfortunate and sad thing that there are many individuals who do not have money at their disposal rather than collecting these unemployment benefits which are provided. If you are someone who is eligible for the benefits or compensation then you should be bold and collect it, without worrying about what others may be thinking of you. Most often than not, people are unemployed, not because they are unskilled or under qualified, but it is because there is a dearth of jobs which are available. Since the state provides people with this benefit, you should accept it without qualms. Many people prefer not to apply for the benefits simply because they think that stopping the unemployment insurance or compensation will be another hassle involving plenty of work. However stopping these unemployment benefits is very simple and takes no effort at all. In most locations, if you want to stop the unemployment benefits all that you need to do is stop filling the form which you are meant to fill at regular intervals of time. Things could not get any simpler than this, so you should not think twice about applying for the unemployment benefits if you are someone who is unable to get a job. Applying for unemployment benefits may not be very easy at all, but once you receive the benefits you will be able to maintain a proper standard of living. It is because of this compensation that people do not become desperate when they are unable to get a job. If you happen to be someone who is currently unemployed, you should do your best to stay positive. If you give up hope and start second guessing your decisions and abilities then you will never be able to get back on your feet again. Failures and setbacks are very much a part of life and you should not let these things define you as an individual.